Six months ago(ish) I finished reading the Monster manga. Pretty soon afterwards I started on a weekly date with the anime. The manga had affected me so much that I was immediately keen to see how well the anime adaptation would be. Despite some fears to the contrary, I was in no way disappointed. If there is one thing that can be said for the Monster adaptation, it’s that it is incredibly faithful. I mean, I would struggle to name a single scene from the manga that wasn’t animated. For some adaptations the idea of being ultra-faithful can be a downside, but I guess that’s the big plus point of having this done as a television series with 74 episodes. On the other hand there is a lot of beauty in the anime that you don’t see as well in the manga. The attention to detail that went into making the German countryside look as idyllic as possible is admirable. Similarly the way that regional tchotchkes like the pop-up clock are brought to life shows a great affection on the part of the animators. As someone who had read Monster I was still able to be shocked and intrigued by the adaptation. The English dub that I watched wasn’t perfect as some of the voices were fairly similar (i.e. Lunge and Grimmer), but on the whole it was fine. One bonus was the far superior ending theme which was so much more fitting than the Japanese one. This is a seriously good show. Whilst it might be more enjoyable if you don’t know the story it is still a lot to enjoy because of how complex it is. 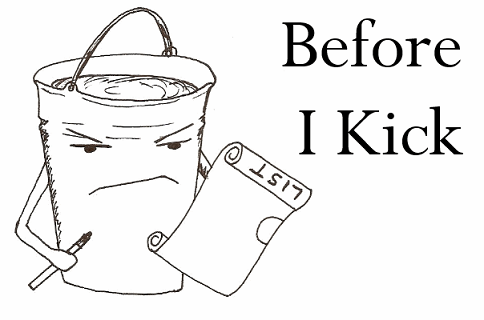 My next anime pick may not live up to this…. And this is why I read manga. It has been a while since I have been so drawn into a work of fiction. I’m not sure what book or manga/comic I found to be as ‘unputdownable’ as Monster, might be The Sandman and that was over a year ago. So, let’s start at the beginning. The central character is gifted brain surgeon Dr Kenzō Tenma who finds himself on the run when he is under suspicion of murdering a number of his hospital superiors. The culprit? Well, it just happens to be the young boy whose life he saved. Oh and that’s just the beginning of how deep this rabbit hole goes. 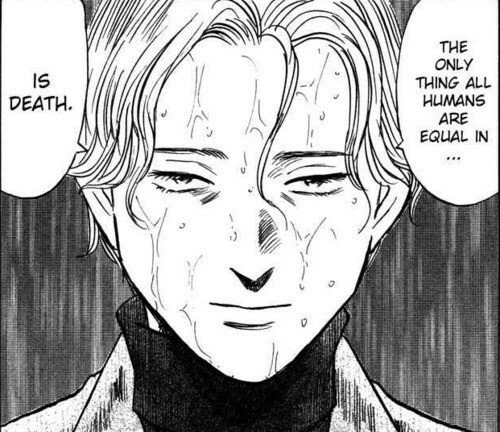 We are talking about a massive international conspiracy where children are psychologically experimented on and the end result is the one of titular monsters: the charismatic and creepy Johan Liebert. The whole story takes place over the course of 18 volumes (162 chapters) and it is amazing how none of the pages feel like they have been wasted. The story is tight and is able to do it in a number of varied ways. My favourite diversion was when 1-2 chapters was spent telling a rather twisted children’s story (with the appropriate creepy art style). Whilst the conspiracy theories and the mind control are the bread and butter of what makes this an exceptional manga series, it is the characters that truly make it. By the time you reach the end the cast is massive. A cast of characters that spans two countries and features people from every walk of life. 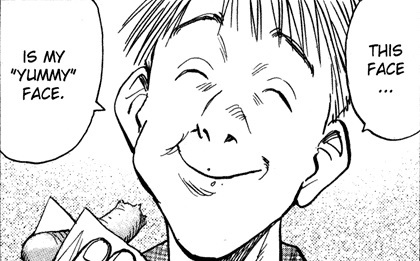 Other than the main three characters of Tenma and the Liebert twins (Johan and Anna), the best character have to be Grimmer (pictured) and Inspector Lunge. Both of them find themselves entangled in the incredibly complex web and for very different reasons. I don’t think there is a single person in Monster who isn’t messed up in some way. Grimmer and the Liebert’s are both victims of psychological manipulation, Tenma loses everything that he had after being falsely accused, Lunge is an obsessive… the list goes on. On another tact here – I loved how the manga treated Germany and Czechia. Sure there are moments where the Japanese manners creeps into the character interactions, but most of the time it feels remarkably authentic. Hell, you have someone whose favourite food is weisswurst – now that is writing I can get behind. The reason I read this so soon was because of the anime series being so renowned. I figured it would be better to read it first, and now the animated series sure has a lot to live up to. I mean, I know it’ll be better than Hajime no Ippo, but I do wonder how well they’ll bring Tenma and Johan to life.